Cutting Edge Catering, Catering to your every Whim! Serving Joilet and the entire Chicagoland area! "Catering to Your Every Whim"
Please be patient as we are redesigning a brand new site and are starting from scratch. Please use our PDF menus and fliers for current menus and pricing. 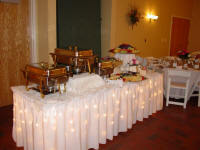 Thank you for inquiring with Cutting Edge Catering & Events, Inc. We are looking forward to being of service to you. Cutting Edge Catering has formed a team of uniquely talented and creative professionals. We are dedicated to providing our guests with superior quality foods, flawless presentations, and service by people who care. Our efficiently trained staff takes pride in creating a gracious and friendly dining atmosphere for your guests’ enjoyment. Cutting Edge can accommodate any size and any occasion. 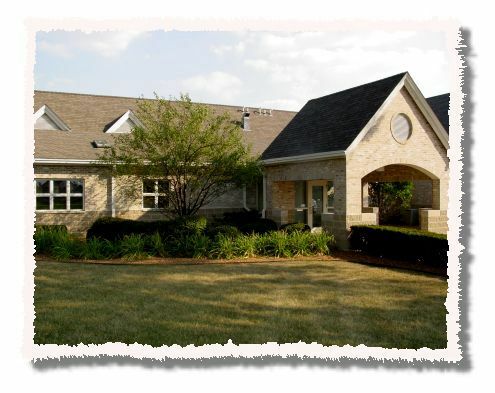 We will be happy to assist you in finding an exciting location if needed. Our menus are designed to satisfy functions from festive outdoor parties to casual box lunch meetings through black tie social and corporate events. Our tantalizing fresh quality foods are prepared to please the palate as well as the eye. 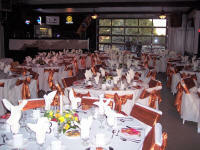 Tailor designed special menus, entertainment, decorations, and theme activities are a welcome request. 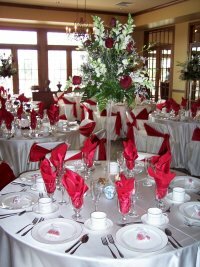 And unique locations to hold your special event like the Barber & Oberwortmann Horticultural Center, George’s 174, Rialto Square Theatre, Pilcher Park, CD's & ME, to name a few. Go to our locations page for more unique locations. We will be happy to assist you with a future event. Please feel free to contact us for customized menus to suit your particular needs. 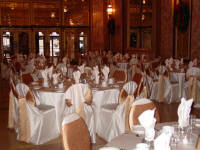 We are looking forward to making your next event a complete success! As of July 1, we had a price increase due to our significant rise in food costs over the past several months. Some pricing stayed the same, and some went up from 3-10%. Cutting Edge runs a very tight margin and cannot afford to absorb the rise in food costs any further as we have not had a price increase in a while. Unfortunately, we have not been able to update our website just yet nor our brochure material. We do hope to get this corrected and finished shortly. Sorry for any inconvenience our web site shall be updated over the next few weeks to reflect these price changes. Please call our office at (815) 725-9001 to check on any menu price. We have updated and even streamlined some of our menus also. If you do not see your favorite menu (when fully updated), we are more than happy to customize a menu and work within any budget constraints. We are still the best deal in town – in quality & service. Click here to watch a video of what Cutting Edge Catering can do for YOU! are subject to change without notice depending on market availability. • Minimum Order is 15 people. Increments of 5 people. 10 people minimum with a flat $10 Under the Minimum Charge. • Final Counts are due four (4) days prior to your event date. • Deposits: $25 - $200 deposit or an email confirmation on delivered packages or $200-$1000 deposit on service packages is required. 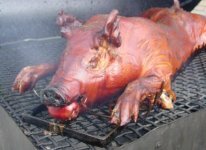 • Cancellations for Pick Up or Delivered (Drop Off) Catering Requires a 48 Hour Notice. For Staffed Events Refer to the Contract. • Delivery requires a half hour interval. are $1.50 each. Sterno are $1.25 each. Wire racks are $5.75 each. Desserts, Beverages & other menus otherwise noted. Use Your Own Place Settings & deduct 20¢ for a 9" plate size or deduct 15¢ for a 7" plate size. • Upgrade to our High Quality: Black Marble Prestige Plastic Plate: 9" for 30¢ or 10.25" for 90¢ . Proud Members of: Joliet Chamber of Commerce, Bolingbrook Chamber of Commerce, Romeoville Chamber of Commerce, Shorewood Chamber of Commerce, and Plainfield Chamber of Commerce. This website has been viewed times. This page was last revised: Thursday February 21, 2019.